I finally felt back to normal this week. I'm feeling better again and Noah and I are back to having play dates and running errands. 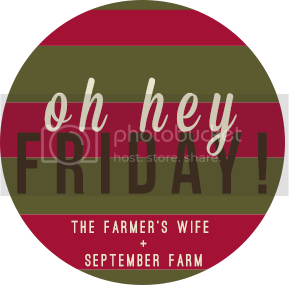 I'm so glad to have one normal week before the craziness of Christmas starts. Chris is officially off of work for the rest of the year starting today. He will still have to check email and maybe do a little work each night, but it will be so nice to have him home every day! We love doing crafts around here. I decided to keep it really simple this Christmas and found some foam Christmas shapes and a bunch of stickers at Michaels. I've been doing a craft a week and Noah loves decorating them all with stickers. So far we've done a tree, a wreath, and a stocking, and next week we will decorate a gingerbread man! 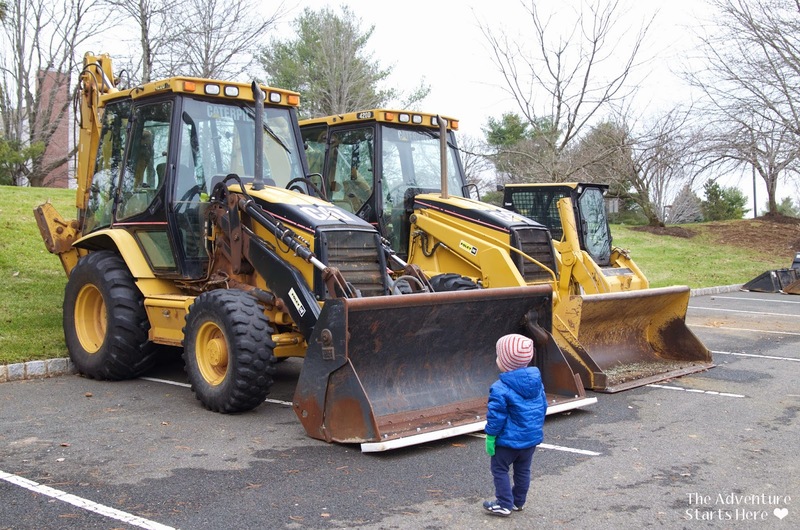 There have been some construction vehicles (or what we call diggers) in the parking by our community pool for the last few weekends. Chris took Noah to see them a while ago, and he's wanted to bring me back with them for a while. We went over this past weekend and got some pictures of Noah with his current obsession! I love sending and receiving Christmas cards. In our apartment, we had this card holder. However, Noah would be all over the cards at the bottom, so we decided to get a new one this year. Our old one can hold more cards, so I think when Noah is older we will go back to using that one. But for right now this one is perfect! Ooh your bushes look so good all lit up! And your house is just adorable...so much curb appeal! Cute house!! I've always loved those Tiny Coupe (?) pictures with Christmas trees on top...Noah is too cute! 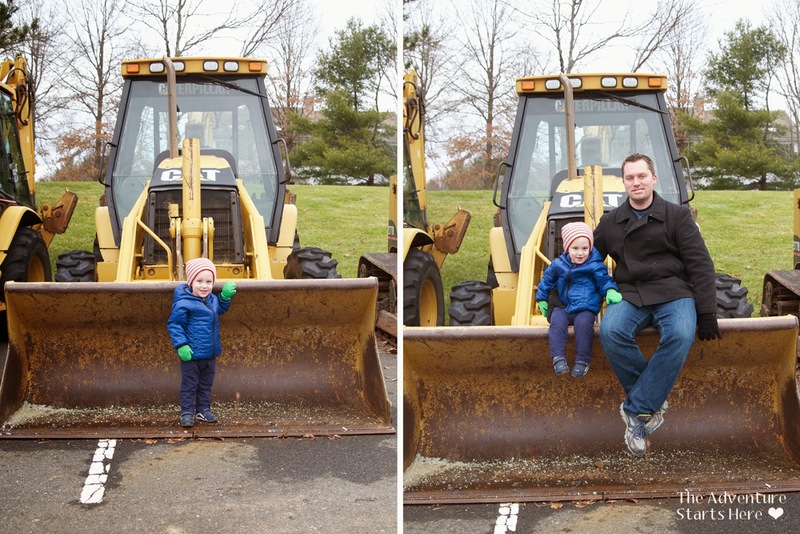 My son is OBSESSED with construction vehicles also! He would have loved to check them out up close. 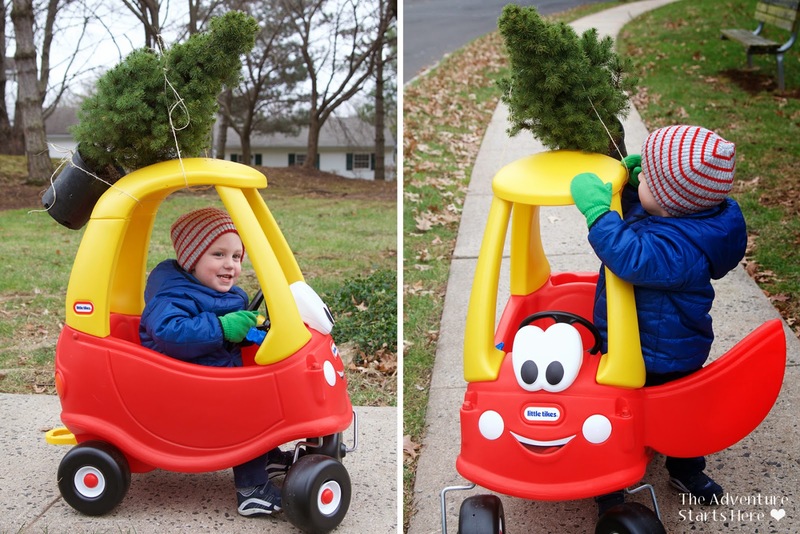 Also, the tree on the kiddo car is too cute! Love the coupe/tree pictures!!!!! So much fun and oh so classic! You're house is beyond adorable!!!!! 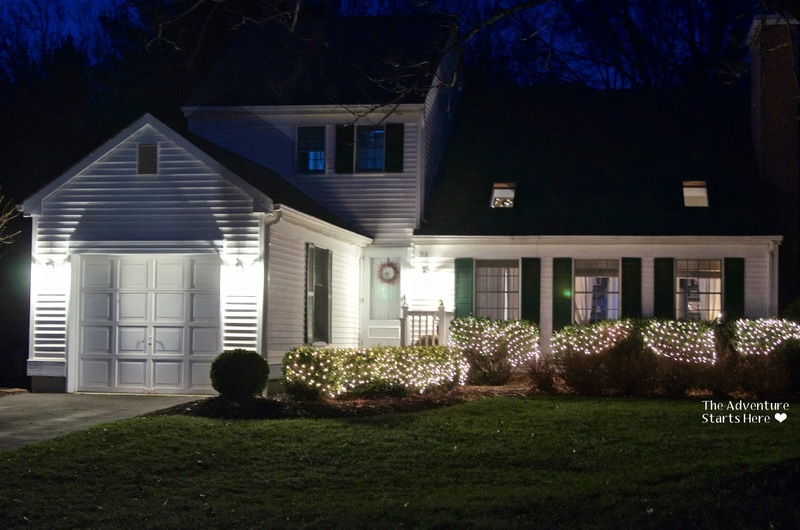 Love your lights outside! They look great. 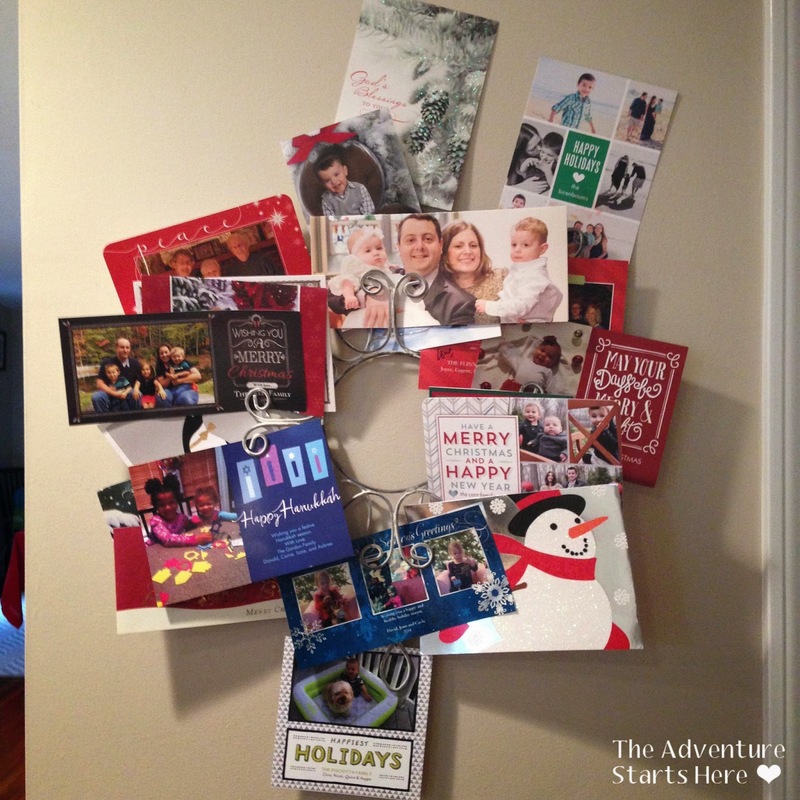 And we also like to display our Christmas cards. 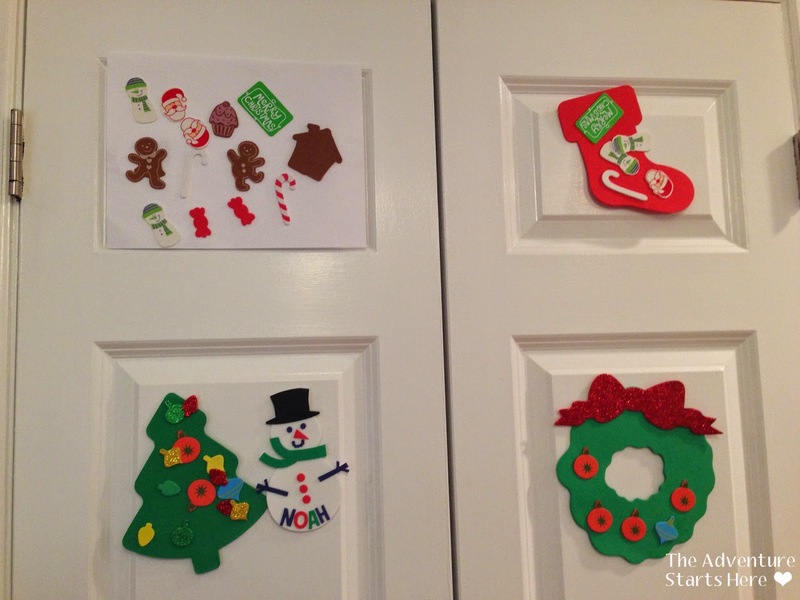 One of my favorite ways to decorate at Christmas! Hi from the link up!! Your little man is precious!! Love the picture of him in his car, such a fun idea and too sweet. Also your house is beautiful and the likes look so great! Glad you got it all figured out. Merry almost Christmas! 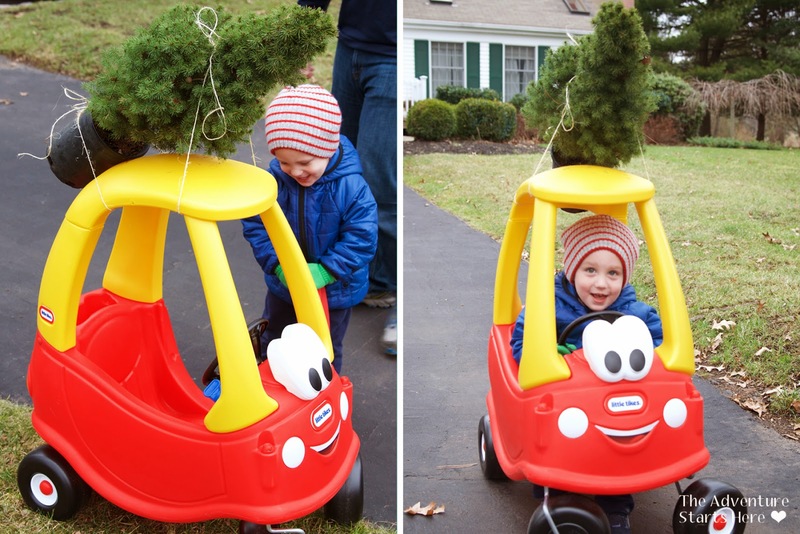 Oh my gosh, I LOVE that tree on his car! So cute! I've always wanted to re-create that photo too and yours came out amazing! 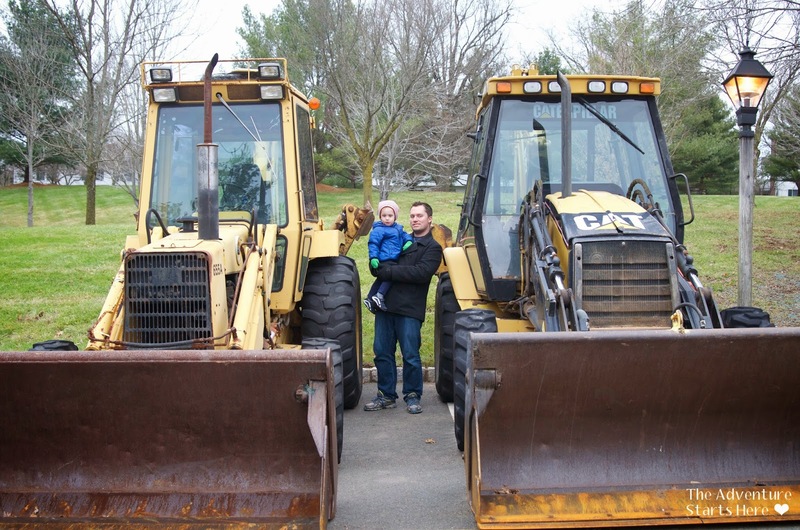 And those diggers... oh my gosh, Mason would go CRAZY. I bet Noah was in heaven! Have an amazing time with daddy home for the next two weeks!